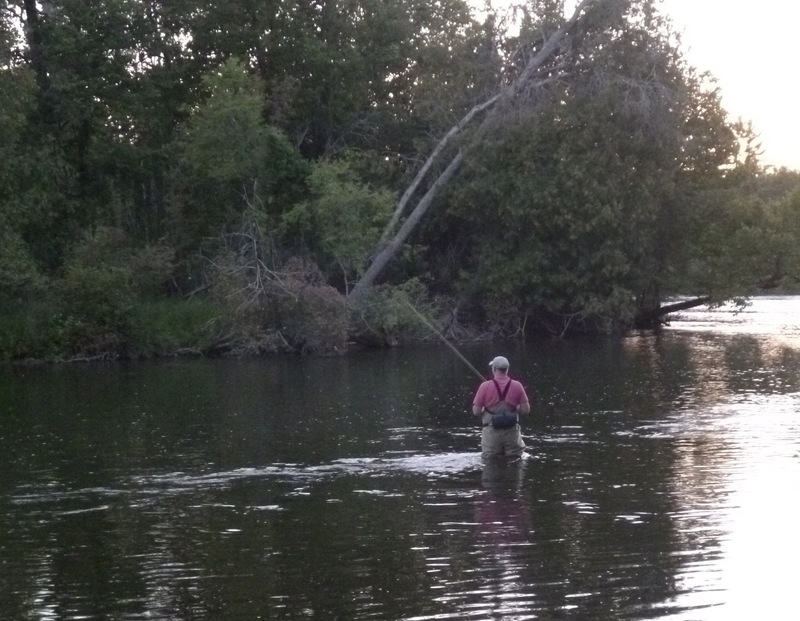 Luckily the annual Au Sable River fishing trip is back, with added friends. Typically it’s been my friend Bill, who introduced me to the river back in the ’90′s, and who actually introduced me to fly fishing in 1980. This year his brother-in-law Roy and his son Giuliano joined us for a full day. 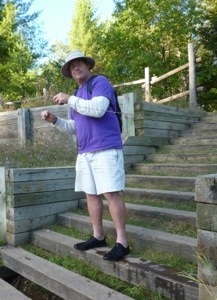 The weather was fantastic, but the fishing was slow. 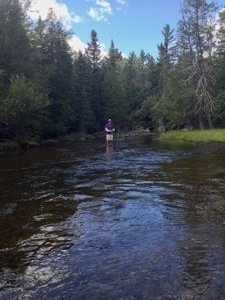 In the morning I was the only one to catch anything, and as you can see below, they were all fingerlings. The afternoon only saw Giuliano catch anything, as he seemed to find his groove. It was interesting to watch Roy, who has one of the most beautiful relaxed accurate cast I have ever seen. 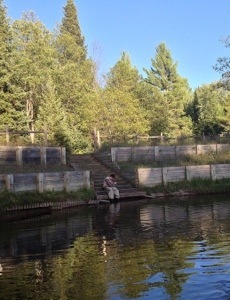 He tells me he hasn’t been fly fishing for years, but I’m guessing he practices on the weekends down at his pond. 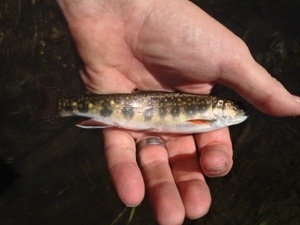 My buddy Bill almost got skunked, but finally managed to catch a few fingerlings late in the day. We stayed for the Ephoron (White Fly) hatch, which was weak but impressive. You always see just a few around dusk, and then the flurry begins. 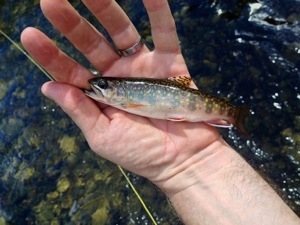 I don’t have a picture of the flies, but you can see some beautiful shots of them over at the www.TroutNut.com web site. That evening the flies hatched, but the rise was limited. Only Giuliano managed to hang one lunker, but unfortunately it jumped off. I did see it jump and it was a good 12 inches. By 10:00 we were freezing (at least I was) so we headed home. 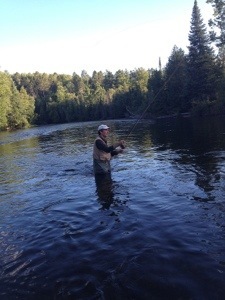 Another great day, and annual trip, on the Au Sable River. Thanks gents for a great time. 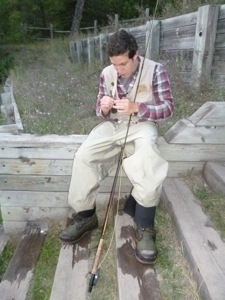 This entry was posted in Uncategorized and tagged Au Sable by charles. Bookmark the permalink.